What is the best email marketing software for 2019? The best email marketing software for 2019 is Hubspot Marketing. This all-in-one marketing platform is equipped with powerful emailing tools that let you craft beautiful emails as well as map out effective email campaigns. In addition to that, the vendor provides flexible pricing plans that businesses both large and small can benefit from. Email has always been an effective direct communication tool for businesses. Not only does it allow entrepreneurs to deliver personalized messages at a low cost; it also helps them drive better customer engagement. However, it can take up a lot of time to send the right emails at the right time to the right people. Luckily, with email marketing software, you can simplify and accelerate the whole process. All you have to do is choose a reliable platform that can adapt to your operational needs, and you’re good to go. In this article, we will be giving you the lowdown on the 20 best email marketing software solutions to help you get started. 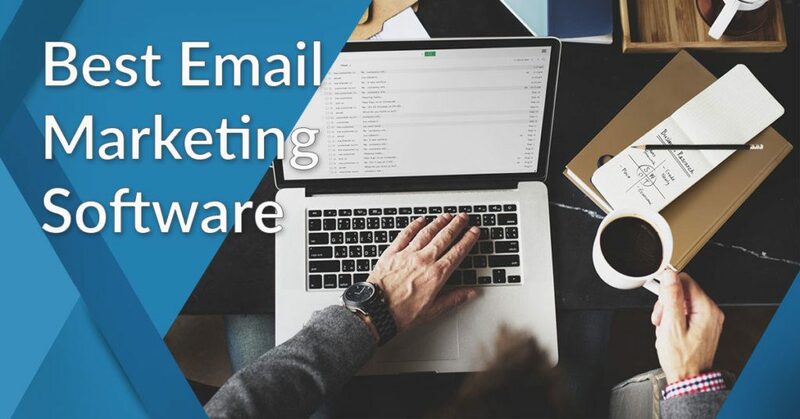 What are the 20 best email marketing software for 2019? Technological advancements have paved the way towards better communication channels, making it faster and more convenient for people to reach out to others. With this, entrepreneurs can utilize tools like email to connect with clients across cities or even countries. However, even the use of email has changed over the years, so marketers who rely on this communication platform are becoming more challenged to come up with ways to use it to their advantage. While social media platforms have taken modern businesses by storm and offer distinct advantages in the marketing world, email marketing still remains supreme when it comes to closing deals. The use of email remains the method that produces the highest return of investment (38:1) in this sector. It also generates the most confidence and reliability among customers. So, if you still don’t have an effective email marketing software on hand, 2019 is the right time to look for it. 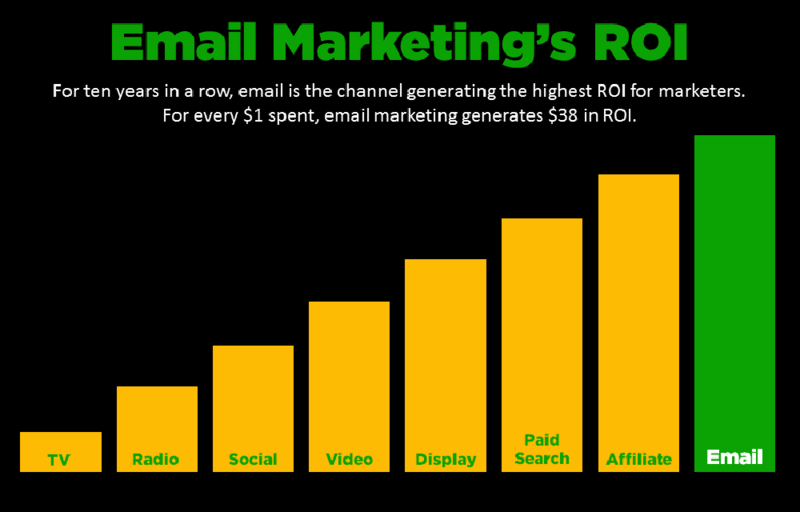 As you can see on the table provided, professionals see email marketing as the most effective channel in reaching out to customers. According to FourthSource’s State of Email Marketing Report, one reason for this is because only 2% of readers see a targeted post on their feed while a whopping 90% of emails reach their intended audience. Meaning, despite social platforms being the best channel to generate leads in an informal setting, emails are still better for rolling out more personalized marketing strategies. Email marketing allows you to build and enhance credibility. Moreover, it is highly effective in making people like your brand, trust your company, and check your business’ services even when they don’t need them. It has the capability to help you expand your reach on multiple geographies and demographics at a time and help sell to audiences who may as well never have heard of your product. Emails serve as a two-way street for learning more about your clients’ needs and strengthening relationships with them–two tasks that can be a bit tougher to achieve on a social platform. Luckily, today’s best email marketing tools are the only products that allow bulk distribution of personalized content and are thus a powerful arm to re-engage existing customers. To help you find one that works for you, we’ve listed the 20 best email marketing tools for small, medium, and large businesses, with a detailed overview of how they can be helpful to you. HubSpot Marketing is an all-in-one, best-in-class marketing suite for inbound marketers and teams. Behind the scenes, HubSpot will automate most of your vital marketing operations, streamline emailing and social media management efforts, and make sure you generate as much demand for your products as you need. What’s more is that it is equipped with conversion analytics tools to help you measure the progress of your campaigns. To start with, HubSpot will help you prepare and optimize promotional content, and place it in front of the right audiences. Meanwhile, you will find it much easier to engage those audiences given that your messages are highly personalized, and adjusted to the persona and expectations of your leads. It is at this point that HubSpot Marketing takes over the entire purchase journey, allowing you to organize drip campaigns and queue up a series of emails that keep your leads engaged until they buy. Due to its integration with HubSpot CRM, the platform will also record valuable customer information, and pull out stats you can use to report on your impact. To make the entire process even more interesting for your team, HubSpot Marketing will also allow you to design your own web pages and attract targeted traffic towards them, optimize content for search engines, and turn your sales management into a hands-off operation. Should you want to learn more about this software’s features, you can sign up for a HubSpot Marketing free trial here. Versatile Email Marketing. With HubSpot Marketing, you can create both static and dynamic HTML messages, customize them in accordance with your customers’ persona and behavior factors you believe could give you the response you want. Impressive SEO Tools. HubSpot Marketing does not only help post and distribute content but also prepares it to make it more accessible to interested audiences. For this purpose, it will let you work with a keyword filter and other modern SEO tools, and ensure you’re one step ahead of your competitors. End-to-End Workflow Management. This software has a compact interface that will let you design your own workflows, prepare, format, and publish content. Moreover, it can seamlessly integrate contact profiles and information to make the most of your campaigns. Social Intelligence. Rather than focusing solely on email marketing, HubSpot Marketing governs and tracks activities on social media, and provides valuable intelligence on your most qualified leads. Instead of preparing content and posting it separately on each platform, you can now manage all of them from a single dashboard. Powerful Lead Evaluation. In its role of a robust marketing funnel, HubSpot Marketing collects and imports valuable contacts from a variety of sources, and lets you move them to the appropriate stage. At the same time, it evaluates them based on demographics and behavior, scores and nurtures them, and packs all important traffic data in understandable visuals. Integration with Other HubSpot Products. The ideal target team for HubSpot Marketing is one that already employs the platform’s CRM or Sales services, as the three products are completely synchronized, and let data flow seamlessly from one to the other. Trusted by over 50,000 users, SendinBlue Email is user-friendly software designed to make marketing automation and transactional messaging simple. It landed on our list for its robust tools that facilitate audience segmentation, results-driven campaign creation, and campaign optimization. With this at your disposal, you will undoubtedly be able to build and grow relationships via targeted email campaigns and sophisticated transactional emails and SMS. For starters, SendinBlue Email has a drag-and-drop HTML editor that lets you create stunning landing pages and newsletters without the need for any coding skills. After which, you may collect contact data from your leads using custom forms that can be embedded in these landing pages or your existing websites. Once you get hold of these customer data, you can start segmenting leads so that you can create personalized emails depending on your target audiences’ interests, location, or other criteria. From welcome messages to abandoned cart reminders to post-purchase emails, you can automate these emails by simply inputting the details in the software. SendinBlue Email even uses AI-powered algorithms to help you determine the best possible way to approach your contacts. To make things even better, it has strong open API capabilities that let it connect with CMS tools, CRM platforms, web performance systems, and other business applications. If you wish to learn more, you can sign up for a SendinBlue Email free trial here. What is Unique About SendinBlue Email? Robust Email Creation. Using SendinBlue Email, you can get access to beautiful email layouts that you can customize to better appeal to your leads. It even allows users to make email designs from scratch in case you prefer something more original. Advanced Contact Management. SendinBlue Email allows you to create advanced custom forms and embed them in landing pages and websites. With this, you can easily collect the customer details you need and categorize them however you want. Powerful Scheduling Engine. There is a right time for everything–emailing is no exception. With SendinBlue Email’s scheduling engine, you can determine the optimal time to send your emails to increase the chances of click-throughs. Solid Analytics Tools. To help you understand your campaign progress, SendinBlue Email is equipped with heat mapping and real-time analytics options. This will allow you to have the data you need right at your fingertips to measure the impact of your current campaigns and improve future campaigns. SMS Messaging Options. Other than giving you great email marketing tools, this software is also equipped to help you send out SMS. Meaning, it enables you to reach your clients even without relying on the internet connection. Another email marketing software worth considering is Wix ShoutOut. Known for its intuitive interface for small businesses, this software allows users to create beautiful emails, newsletters, promotions, product updates, and invitations. It also has a great campaign editor that supports custom sign-up forms to help you optimize the way you handle your emailing efforts. Put simply, Wix ShoutOut allows you to build personalized messages that target specific audiences. They have customizable templates for you to choose from in case you want to create emails at lightning speed. Of course, you may choose to create one from a blank canvas if you’d like a little more flexibility when it comes to design. Wix ShoutOut also has a robust mailing list management system that lets you import email addresses and segment them according to varying factors. By doing so, you can make targeted emails for the different audiences that you serve. To top it all off, this platform has a stats tracker that lets you get insights on your real-time progress. It lets you gain knowledge about the kinds of content that works well on your leads by gauging which of your strategies are making the most impact on your leads. Should you want to try out the other features that this platform has to offer, you can sign up for a Wix ShoutOut free trial here. What is Unique About Wix ShoutOut? Intuitive Campaign Editor. Creating email campaigns is simplified using Wix ShoutOut’s intuitive editor. With this, you can simply pick a template, add your logo, choose a background, and insert your text along with some accompanying images. After which, you can schedule when to send them to certain contact groups and the platform will do the rest. Custom Email Templates. Wix ShoutOut allows users to make emails, newsletters, and other marketing materials from the ground up. You may customize any of their templates by infusing them with your branding or altering its design without the need for extensive coding knowledge. Easy Contact Data Collection. Building a customer base can be quite difficult. Luckily, Wix ShoutOut has contact data collection tools that let you import email addresses in seconds as well as automatically consolidate information for your signup forms. Social Media Management Tools. You’ve already spent a great deal of effort in creating your email content. Why not turn them into social media ads to maximize them? Using Wix ShoutOut’s social media management tools, you can do this as well as determine the best time and channel through which to reach your audience. Native Mobile Applications. Always on the fly? Wix ShoutOut has a native application for Android and iOS devices. This allows you to create, send, and share updates to subscribers wherever you may be. An all-in-one small business management tool, vCita snagged a spot on our top 20 list for its built-in email marketing capabilities. Not only is it capable of helping digital marketers craft great emails and set up effective campaigns; it also serves as a hub for lead capturing and client management. It even has calendar management options, billing and invoicing options, as well as a built-in CRM that makes it easier to run your email marketing campaigns alongside other aspects of your business operations. Another thing that makes this software solution unique from its competitors is that it allows entrepreneurs to set up 24/7 client portals where they can book appointments, fill out forms, and even get updates on new products, events, or other announcements. It can also integrate with different business platforms like QuickBooks, Zapier, Stripe, PayPal, and WordPress, making it a great option for businesses looking for platforms that can go beyond email marketing. To learn more about this product, you can sign up for a vCita free trial here. What is Unique About vCita? Simplified Lead Capturing. vCita allows you to make it easy for your customers to get in touch with you. It helps you start conversations using online forms and it allows you to embed actionable buttons within your landing pages to encourage clicks from leads. Built-In CRM. Unlike a traditional email marketing tools, vCita has a built-in CRM. With this feature, you and your team can get access to data such as transaction history and previous conversations so you can better understand your customers. This will make marketers more effective in engaging leads and nurturing existing clients. Easy Email Campaign Builder. vCita also makes setting up email campaigns as easy as possible for users. With this platform’s user-friendly builder, you can compose and schedule the sending of messages using either your desktop or mobile device. Moreover, it allows you to track how well your customers are responding to your emails. Client Engagement Options. With vCita, you can line your landing pages and emails with client engagement widgets to capture more leads. This can be in the form of custom fields and sign up forms as well as actionable buttons. By doing so, you can keep your leads interested in what you have to offer. Proactive Contact Form Choices. Collecting your customers’ information is important if you want to make effective email marketing campaigns. With vCita, you can create custom contact forms according to the type of data you will be needing for your customer base. This makes it easier to categorize your contacts and segment your mailing lists later on. HelpCrunch may be a customer support solution, however, this software packs a punch when it comes to email marketing functionalities. Equipped with tools to help you create stunning emails, this solution is also capable of helping you build personalized and targeted email marketing campaigns based on customer information and behavioral data. It also has an instant email follow-up system to help you make sure that no lead falls through the cracks. Of course, as a help desk platform, it also gives you the ability to quickly respond to the emails of your customers through its automatic email forwarding options and customizable notification tools. Moreover, HelpCrunch offers features that let you categorize contacts as well as emails according to business-specific filters. To add to its email marketing features, the platform can also perform ticket management, facilitate live chat, and monitor customer engagement in one convenient workspace. If you want to learn more about how this software can be of help to you, feel free to sign up for a HelpCrunch free trial here. What is Unique About HelpCrunch? Advanced Chat Tools. The crowning glory of HelpCrunch is its reinvented live chat capabilities. It allows you to save pre-made responses to common questions, it has pre-chat forms that lets you collect contact info before even starting the conversation, and it is lined with customization options so your live chat widget’s aesthetic matches your branding. Email Follow-Ups Made Easy. Make sure you are engaging all of your leads through HelpCrunch’s email follow-up tool. This feature allows you to create instant emails using your chat window. You won’t even need to search for email addresses or dig through your inbox to review previous conversations as it makes customer data accessible at all times. Email Automation. There are plenty of tasks involved in the email marketing process. With HelpCrunch, you can fully automate all your emailing efforts. All you need to do is set up your content and schedule when to send them out, and this system will do the rest. Multi-Channel Communication. Other than live chat and emails, HelpCrunch supports other communication channels. With this, you can easily manage your messages as well as reach out to customers on different platforms without having to jump from one account to another. User Authentication Mode. This feature helps identify where customers are logging in form. This way, the system can consolidate customer data into one profile. You can avoid storing duplicate information and make a clear view of your customer interactions wherever the interactions were made. If you are looking to streamline and optimize your email marketing and social media campaigns, you should give Zoho Campaigns a detailed look. Small and medium business are captivated by the tool’s effortless email marketing, automated responders, and professional email newsletters. It has also made a name for giving users the ability to track and report on their email activity as well as promote pretty much the same attractive designs on social media. Working in synergy with other Zoho products, Campaigns soon becomes a centralized hub for all contact information which is both able to guarantee deliverability and cost-effectiveness to meet the needs of all businesses. You should also consider it because of the free starter plan that allows you to manage even 2,000 contacts, and send over 12,000 emails per month. You can sign up for a Zoho Campaigns free trial here to learn more about this software solution. What is Unique About Zoho Campaigns? Professional Email Newsletters. Zoho Campaigns offers you a selection of beautiful default email newsletters, but also allows you to design your own to engage customers in a more personalized manner. Email and Social Media Monitoring. With Zoho Campaigns, you will get an affordable tool that combines email and social marketing features in one easy-to-use interface. With this, you can effortlessly manage your contact engagement efforts from a single platform. Facebook-Friendly System. You can simultaneously share all your campaigns on social sites, set up follow-ups and chain campaigns, and even design landing pages for your Facebook audiences. Integrations with Other Zoho products. The Zoho software company has a large and compact productivity suite, where all systems work in synergy to save time and optimize results. Zoho Campaigns is one of these products, and it functions seamlessly with all leading Zoho solutions. Free Starter Package. Small and medium businesses and sole marketers will be pleased to learn that Zoho Campaigns offers a free starter plan. With this package, you can manage even 2,000 contacts, and distribute 12,000 emails and messages at absolutely no cost. If you own an internet-based enterprise, then Retainly might be the email marketing automation software for you. Created for specifically for SaaS startups, digital merchants, bloggers, and other online businesses, this platform offers simple yet powerful features that let you engage leads through personalized emails. With its robust lead capture tools, intuitive drip campaigns, and dynamic contact segmentation, you can reduce customer churn and boost your brand’s reputation. Moreover, the entire software is completely mobile-ready, so you can work on-the-fly. Another reason to consider this platform is that the vendor offers a free subscription package for small businesses who have minimal contacts. In case that is still not a good enough reason for you to choose this platform, you may sign up for a Retainly free trial here to take it for a test run first. What is Unique About Retainly? Buyer Persona Creation. Retainly allows its users to build buyer personas in just a few clicks of a button. With this, you can make the most out of your customer information by turning them into detailed profiles that will help you better understand your target audiences. Contact List and Segments. Making your messages more personalized can rely heavily on how you segment your mailing list. With Retainly, you can categorize contacts depending on different criteria before feeding them into an automated drip sequence. This way, you can effectively tap into your customer base by sending them messages that are most relevant to them. Automatic Lead Capture. Retainly makes sure that you have all the information you need. This is why it automatically collects leads from the different forms you embed in your emails, landing pages, and websites. Multiple Customer Sources. Having an updated customer database is important. To help you consolidate your customers’ contact information and ensuring there are no duplicate data, Retainly can import data from multiple sources. Be it Intercom, Segment, Woopra, Mixpanel, or Wordpress, this platform has you covered. Email Drip Campaigns. Performing drip campaigns can be quite tedious. With Retainly, you can set automated triggers that will send a series of pre-set emails to your customers upon meeting certain criteria. This way, you don’t have to manually send them emails whenever they visit your website, add things to their cart, or make a purchase. A list like this would not be complete without Marketo, one of the community’s most preferred end-to-end marketing automation systems. The experienced, well-reputed, and universally applied system has much at stake for concerned marketers, including lead management, consumer marketing, mobile marketing, the unique customer base marketing, and of course – email marketing. In this regard, Marketo gives you a single, unified view of each customer, and allows you to respond to him based on what he did or didn’t do. The highly personalized contact methodology is further enhanced with rich on-scale segments, drag-and-drop maneuvers for absolute conversation control, interaction triggers, and automated A/B testing for each of your campaigns. What is Unique About Marketo? Instant Creation of Landing Pages. Creating landing pages with Marketo is a breeze, thanks to its drag-and-drop interface and its massive collection of pre-designed templates. Data capture forms can help users to aggressively profile potential contacts, which can result in more lead data over time. Landing pages can also be converted into Facebook pages, which can be tweaked and customized using Marketo’s dynamic content capabilities. Social Marketing. From a social marketing point of view, Marketo will be useful in three different areas: social sharing, social engagement, and social promotion. This means that you can engage users on various leading media, including Facebook and Twitter. Professional Lead Management. Lead management is also a strong suit for Marketo, which offers users the capability to gather strong leads based on pre-determined parameters and criteria such as demographics, input from sales reports, product scores, and prospect behavior. Forward-to-Friend Functionality. The Forward-to-Friend functionality is a unique set of social components you can use to install and distribute Marketo emails on different platforms. This means that you will be able to maintain contact with customers regardless of where they’re trying to reach you. Email Testing. In order to determine which content works the best for your needs, Marketo lets you perform email testing, and points out quick and dynamic changes you should consider. If you’re looking to automate vital marketing operations and optimize the success of your email activities, look no further than ActiveCampaign. The platform will not only help you deliver the right message in the right time but also be of great use to research on your audience and create that message in the first place. For this purpose, ActiveCampaign delivers detailed market insights, pull out valuable customer data, and makes sure that all your contacts and partners are managed from the same location. It will be your marketing, sales, and CRM bundle that consolidates communication and moves it ahead, as you will conclude from the instant improvement of your team’s collaboration. Other than email marketing, this platform also supports site messaging, SMS, event tracking, and custom form creation. What is Unique About ActiveCampaign? Conditional Content. With conditional content, you are able to dynamically alter content on a per-contact basis. For instance, you could display entirely different images or blocks of text in an email based on how a particular contact is tagged or what web pages they have viewed on your website. Built-In CRM and Sales Automation Features. ActiveCampaign ties its email and messaging features to a user-friendly and robust marketing automation platform, along with built-in CRM and sales automation functionalities. In such way, it enables businesses to create special marketing workflows as well as automated follow-up sequences, tracking at the same time the behavior multiple marketing channels. Event Tracking. You could use event tracking to notify ActiveCampaign when a user logs into your website, or when they make a transaction, and then trigger a follow-up campaign. Site Tracking. Site tracking connects your marketing to your contacts’ behavior, allowing you to respond to what they are doing on your website and adapt your marketing to their interests. This feature allows ActiveCampaign to “see” what contacts are doing on your website. Their entire page view histories will be attached to their contact record so you know what they have and haven’t done on your website. Unlimited Integrations. With an open API infrastructure, ActiveCampaign will blend seamlessly in any software environment. Plus, you will get access to 150+ native integrations, among which leading accounting, CMS applications, and analytics. iContact Pro is a relatively new player in the email marketing software arena, but one that didn’t take long to impose itself across the business community. Rather than focusing solely on email marketing, iContact Pro combines workflow automation, social media management, and business analytics in a mobile-friendly package. Playing the role of a loyal marketing assistant, iContact will help you create effective email campaigns, whether they are modified templates or unique, custom designs. Then, it will test each of the campaigns to enhance your targeting strategy, and segment leads in categories based on how they’re interacting with you. iContact Pro also tracks and records other types of engagement, including social media conversations, landing pages, newsletters and releases, events, and website visits. What is Unique About iContact Pro? Timely Campaign Management. With iContact, you can timely and easily manage your email campaigns. It offers tools for segmentation, A/B testing, and a message builder to fulfill email marketing needs of your company. It comes with list management tools for easy management of client IDs which often becomes difficult due to an ever increasing client base. All-in-One Marketing Kit. iContact Pro is a system that will automate all important marketing functions, manage and score all of your leads through the same platform. You can use it to create stunning landing pages, as well as other HTML-based and template-based pages. Social Media Management Features. This cloud-based software also integrates social media management features and robust monitoring and analytic functionalities. The social media management tools let you schedule and post your campaigns all over Facebook, Twitter, and LinkedIn. SMB-Friendly Pricing. iContact Pro is made affordable to small and medium businesses, as its prices don’t depend on the features it offers, but on the number of subscribers that you wish to manage. Teams with less than 500 subscribers, for instance, can purchase it for only $11.90/month. Salesforce Integration. iContact Pro can be integrated with Salesforce to help you manage the sales process. It also offers analytics which is vital for strategic planning and can be used to access the marketing funnel reports. This feature plays a major role in deciding resource allocation for marketing and sales in long-term planning. AWeber is one of the top performing enterprise-friendly email management solutions trusted and relied on by over 100,000 users worldwide. It provides an array of interaction management functions packed in a well-structured marketing story that simply takes you from lead generation to conversion with minimal effort. It starts by preparing highly personalized and engaging emails on plain-text and HTML editors, After which, it lets you set up automated emails so that you will keep customers interested regardless of their current status. Its industry-leading deliverability is a guarantee that you can reach the audiences that matter, be those local buyers or international customers. Another thing to appreciate about AWeber is its streamlined integrations with leading productivity systems, including names such as PayPal, WordPress, Facebook, and many more. What is Unique About AWeber? Subscriber Segmentation. AWeber targets your subscribers depending on their behavior and actions and uses this info to segment them in suitable categories. Scheduled and Automated Emailing. With AWeber, users can automate all of their campaigns and send emails to tagged and targeted subscribers. Emails can be scheduled and bulk-sent automatically, and customers can be re-engaged with drip campaigns. Autoresponder Follow-Ups. AWeber helps you turn casual subscribers into paying customers, by setting a simple sequence of emails and keeping the audience engaged with welcome series, product launch series, and customer onboarding sequences. All of Your Favorite Integrations. AWeber connects seamlessly with more than 100 third-party applications and services, which means you can use it in conjunction with the rest of your ecosystem. The list of integrations includes OptinMonster, Interact, Unbounce, and many others. First-in-Class Customer Support. The company deploys a team of email marketing professionals who are highly knowledgeable, responsive, and effective. AWeber even offers webinars and training sessions to help new email marketing software users get the most out of their investment. MailChimp is probably the world’s best-known email marketing service, and for a good reason. Rather than helping you keep the pile of contacts and partners organized, MailChimp makes sure that you will shed some professional light on your brand, and sell more regardless of how far your marketing career has progressed. The plus-factor on MailChimp’s side would be its robust experience in the area, and the number of satisfied users who believe they’d perform much weaker without it. What is it that makes MailChimp special? Explained in the simplest way, MailChimp lets you prepare email campaigns that look just the way you’ve imagined. There is little you can’t tweak to convey the exact message you have in mind, which consequently dictates how viewers interact with your news, services, and products. It also lets you drag-and-drop items to design suitable signup forms and embed those on different locations. What is Unique About MailChimp? End-to-End Automation for Online Sellers. MailChimp’s main role is to ensure that you will reach the right audiences at the right time, and in line with their needs, preferences, and expectations. With this system, you will only need a single API request to segment contacts and trigger a custom series of emails, and report separately on each of them. A Faithful Campaign Building Assistant. MailChimp is the tool that collates all necessary tools and sources for you to build campaigns that genuinely convey your messages. On top of the fully featured content editor and the endless choice of templates, MailChimp will also provide you with learning materials, tests, and experts’ assistance. Ad Campaigns on Social Media. Using MailChimp, you will be able to organize ad campaigns on social media (Facebook and Instagram), and simplify sales processes for your customers. Advanced Analytics. MailChimp keeps an eye on your website and sales activity, and drafts all types of standard reports that can help you refine your future campaigns. Mobile Apps. MailChimp comes with specially adjusted mobile apps for different devices, where users can prepare and send campaigns, check on their reports, or add notes as they usually do when in the office. This way, MailChimp helps enhance the productivity of decentralized and remote. Salesforce Marketing Cloud is an online application created to help B2C and B2B companies provide the best possible service to their customers and prospective clients. Coming from a reputable software provider, this platform is great for users looking for a powerful solution that can cater to all of their digital marketing needs. It is equipped with robust contact management, data management, advertising features, and journey mapping options that will help you optimize and automate marketing tasks. Moreover, it uses artificial intelligence to help you get real-time insights on your campaigns’ progress. The only downside to opting for this platform is that it can get a little expensive and therefore, not advisable for small businesses and startups. What is Unique About Salesforce Marketing Cloud? 360-Degree Customer Data View. Salesforce Marketing Cloud was made to help marketers create consumer-centric campaigns. With it, you can get comprehensive summaries of your customers’ data so you can understand how to better serve them. Fully Integrated Interface. Salesforce Marketing Cloud goes beyond email automation, social media management, and marketing campaign creation. It serves as a centralized hub where you can optimize your marketing efforts in line with advertising activities, sales goals, and customer service protocols. Great Emailing Templates. Just like its competitors, this platform has stunning email templates to choose from. What sets it apart, however, is that it also has pre-built messaging flows that you can use to automate your email marketing efforts more quickly. AI-Powered Predictive Recommendations. Salesforce Marketing Cloud leverages artificial intelligence to help you get insightful recommendations. With this, you can identify opportunities and gauge the best possible segments and methods through which to approach customers. Mailjet is Europe’s favorite email marketing tool that offers solutions for both marketers and developers, as well as enterprise-grade teams. Its highlight is, as the company likes to put it, business class and transactional email sending, namely the preparation and distribution of personalized and optimized emails that help sell more. With Mailjet, you will receive a dedicated IP address to stay in full control of your sender reputation, an intuitive and comprehensive editor (Passport) for your emails, A/B tests on calls-to-action and comparison of the performance of your campaign, and SMTP Relay to send transaction emails and track customers with ease. During the process, you will have the peace of mind that Mailjet has handled all contact management operations and that there is always a marketing expert on the other side of the line ready to assist you. What is Unique About Mailjet? MJLM and Passport Responsive Email Builder. Mailjet helps you create beautiful and fully optimized content, and hand it out to particular groups of users. The systems’ Send APIs are quick and reliable, and make it possible to automate welcome messages, account notifications, and shipping confirmations. Customer-Oriented Dynamic Messaging. Mailjet allows you to customize dynamic content, blending the variables different for every user such as location, surfing habits, name, and the like. That’s how you attract every customer’s attention towards your marketing campaign. Newsletter Templates. Mailjet comes with a unique library of pre-made newsletter templates which you can edit and personalize using the Passport content builder. No-Spam Guarantees. Mailjet enhances deliverability and ensures that no message you send will end up lost or stuck inside the Spam folder. The reason for that is that your correspondence and customer relationships are managed by a team of experts and marketing professionals. SMTP Servers and REST API. You can use Mailjet’s SMTP Service and REST API to import contacts, and communicate with clients on as many platforms as you need. The company offers comprehensive documentation to help you connect the system independently. Touted as the industry’s best email editor, Constant Contact is a software solution trusted by over 650,000 customers worldwide. It was created in an effort to boost email marketing campaigns while cutting down the amount of time and effort that digital marketers put into them. It is equipped with mobile email marketing tools, social media sharing features, as well as contact management solutions that will help you optimize the way you work. It can even integrate with a number of third-party applications and business systems so you don’t have to jump from platform to platform in order to perform your daily activities. What is Unique About Constant Contact? Drag-and-Drop Email Editor. Creating stunning interactive emails does not have to be complicated. This is why Constant Contact comes with a drag-and-drop email editor that lets you build messages from scratch in a flash. Mobile-Optimized Email Templates. Aside from its easy-to-use email builder, Constant Contact also has a good selection of email templates. With this, you can simply pick a pre-made email layout and insert your text and images before sending it out. What’s even better is that all these templates are mobile-optimized. Customer Engagement Tools. Sometimes, providing your customers with quality content through email is not enough to keep them engaged. This is why Constant Contact allows you to embed polling widgets, one-click CTAs, RSVP options, and other engagement tools in your emails. Contact Management. Consolidating your contacts is easy with this platform. It allows you to upload your contact list from Excel or import it from other business systems for easier contact management. Moreover, it tracks unsubscribers, bounces, and inactive email addresses to keep your contact list up-to-date. Real-Time Reporting. This feature lets you get an idea of who is reading and sharing your emails. Moreover, it helps you pinpoint their location, the time your emails are being opened, and what devices your target audiences are reading your emails from. Robly is an email marketing system that uses OpenGen technology to provide as much as 50% more opens upon application, and which is suitable both for corporate and nonprofit environments. The tool doesn’t only help you create captivating campaigns, but it also re-sends them with a different subject line, giving the customer a second chance to examine your product/service. The persistence and time effectiveness of this system has pleased satisfied customers with 5x larger lead lists, working around simple tactics such as replacing traditional signup widgets with fully automated popup forms. This way, Robly introduces you to the market you’re about to serve, making it possible to share your emails on social media platforms. What is Unique About Robly? Mobile-Responsive Templates. All templates you will find within Robly’s library are ready to use on mobile devices and contain call-to-action buttons that increase in size in order to maximize conversion. Robly AI. More than just sending repeat email campaigns, Robly’s patent-pending artificial intelligence innovation called Robly AI will analyze all details about your campaigns, history, subscriber interactions, and more. This artificial intelligence determines when is the best time to send your emails, which is when your subscribers will most likely open their inbox and check their messages. OpenGen Technology. With its OpenGen technology, Robly ensures that your email campaigns are read by your recipients. This functionality has proven to increase open rates to as much as 50%. It initially begins with a typical marketing content sent via email. Subscribers who did not open your first email will automatically get another campaign 1-10 days later, this time with a different subject line. A/B Testing. Robly also offers an A/B testing capability that helps you cover all the bases, optimize all elements of your email campaign such as name, subject line, call to action, content, and more. Exit-Intent Pop-Up. Robly doesn’t use the traditional sign-up widgets, but a one-of-a-kind Exit-Intent technology that motivates leaving users to come back and join your mailing list. Salesforce Email Studio is a cloud-based software solution created for small businesses, large enterprises, and everything in between. It is equipped with robust contact segmentation, email automation, and A/B testing functionalities that can optimize campaigns from start to finish. Compared to Salesforce Marketing Cloud which is also on this list, Salesforce Email Studio offers more curated features that cater to a company’s email marketing needs. This makes it a good option for those who already have a marketing suite but lack tools for email automation. With this, digital marketers can send emails in bulk or facilitate one-on-one conversations while ensuring a quality experience for each customer. What is Unique About Salesforce Email Studio? Targeted Campaigns. Similar to the platforms mentioned on this list, Salesforce Email Studio is known for its ability to facilitate targeted email campaigns. This allows users to organize contacts in such a way that they are grouped according to particular criteria. By doing so, you can create more effective and personalized emails that speak to your different target audiences. Responsive Email Design. All of the email templates that this platform has to offer are designed to work well on any device they are opened in. Meaning, whether your customers are reading it using their laptop or mobile device, they will be able to see the optimized version of your email. Email Delivery Schedule. The automation of bulk email sending is one of the greatest advantages of having email marketing software. Salesforce Email Studio takes this a step further by helping you map out an email delivery schedule. Using this, you can prepare emails for events or special dates months ahead and determine which contact groups to send them to and at what time. Regular Performance Reports. Salesforce Email Studio allows you to see how well your campaigns are doing. With this, you get accurate reports on click-through rates, the number of shares per email, as well as the number of conversions attributed to your email marketing campaigns. Importing Data Made Easy. You store contact data in different places. With Salesforce Email Studio, you can import all of these data from various sources and compile them in one convenient database. This way, you don’t need to manually look up contact details or input them one by one into your email marketing platform. An email automation platform for developers, Mailgun offers powerful email builders, intelligent campaign tracking, and robust email validation options. It optimizes the entire email marketing process by allowing you to craft, send, receive, and track your messages in one convenient platform. In addition, as this platform is created for developers, Mailgun has open API capabilities that allow it to integrate with a number of business systems and third-party applications. What is Unique About Mailgun? Email Delivery Automation. Much like the other top email marketing software solutions, Mailgun allows you to automate email deliveries. All you have to do is craft your emails, schedule when to send them, and determine who to send them to, and the software will handle the rest. Email Parsing Engine. Mailgun has a great email parsing engine that lets you interpret all inbound email data so you can get the information you need faster. This is great for automating lead generation processes, order fulfillment procedures, and more. Advanced Email Algorithms. Manually filtering replies can take a lot of time. Luckily, Mailgun leverages advanced algorithms to detect and remove signature blocks as well as quoted replies. Inbound Email Storage. Like your regular email account, Mailgun can store your emails for future reference. What makes it better is that it lets you create tags for certain messages so that it is easier to search logs as well as perform A/B tests later on. Seamless Integrations. Mailgun can integrate with a variety of programming languages. Whether you use Ruby, C#, PHP, Java, or Python, this platform has you covered. ConvertKit is an all-in-one email marketing platform that aims to help professionals connect with their audience more effectively. Primarily designed for podcasters, YouTubers, bloggers, and other freelancers, this is a software that offers powerful email automation features minus the need for coding experience. From custom segmenting and automation rule set-ups to sales funnel editing and click-through tracking, this platform can provide you with everything you need to perform effective campaigns. It even provides users with a landing page editor so that generating more leads is easier. What is Unique About ConvertKit? Contact Tagging Options. Make the most out of your newly generated leads by adding tags on their profiles. This will allow you to compile them according to interests, location, browsing patterns, and other criteria. With this, it is easier to construct buyer personas that you can refer to as you design your new email campaigns. Mailing List Organization. If you want to personalize your emails, then it is crucial for you to organize your mailing lists. Using ConvertKit mailing list organization tools as well as contact tagging options, you can group your customers and add them to separate mailing lists so that you can send out emails based on different criteria such as those previously mentioned. Email Marketing Campaign Builder. Unlike tradition email campaign builders, ConvertKit allows you to lay out a detailed visualization of your sales funnels. Not only will this help you track where your leads are, but also help you understand their interactions with you. Extensive Integration Selection. ConvertKit can work seamlessly with over 80 third-party applications. With these options, you can easily extend the capabilities of this platform and find the best possible tools to aid your operations. Automation Rules Set-Up. This platform simplifies the set-up of workflow automation rules. All you have to do is declare the triggers that will alert the program to send your emails, and you’re good to go. Capping off our list is Emma, a best-in-class email marketing platform for small to medium-sized businesses. Like its competitors, this solution offers excellent email automation, list segmentation, as well as analytics tools. What makes this platform unique, however, is that it is geared towards team collaboration. With it, you get access to tools that will let multiple staff members work on one email automation campaign. Moreover, it makes all of your marketing assets accessible to everyone on your team, so campaign building is easier than ever. It even comes with its own mobile app, so you can work on-the-go. What is Unique About Emma? Tiered Command Central. Emma allows you to manage email marketing efforts across multiple departments and locations using its tiered command central. This includes dashboards for approvals, campaign progress, and account reports. Moreover, it serves as a centralized database for assets and templates. Flexible Email Editor. Emma has a flexible email editor that supports drag-and-drop navigation as well as HTML coding. This gives users the option to choose the editing method they are most comfortable with. A/B Content Testing. Make sure your campaigns will yield good ROIs even before you launch them through Emma’s A/B content testing feature. This will allow you to check the different aspects of your email marketing plans to predict how your target audience will respond to them. By doing so, you can pinpoint what works and what does not as well as address them as early as possible. Landing Page Creator. Do you want to attract more customers but don’t want to go through the arduous web development process? Using Emma, you can create and publish beautiful landing pages instead. It uses a drag-and-drop editor, making it quick and easy to design new pages even if you have no prior experience with web development. Over 100 Integrations. While Emma offers a comprehensive set of email marketing tools, it is still highly possible that it doesn’t offer certain functionalities that you need. This is why Emma is built to be extendible. It can integrate with over a hundred different applications, so you can simply merge it with existing systems or add the features that you need. How Can You Maximize Your Email Marketing Software? Utilize Split Testing Techniques. Most email marketing solutions are equipped with A/B testing. This feature will allow you to test your marketing tactics before you launch them to see which ones will be most effective in reaching your target market. With this, you can pinpoint the best possible subject lines, content, calls-to-action, as well as sending time with little to no risk on your part. Segment Your List. Segmented email campaigns can help you yield better revenues. By categorizing your contacts according to buyer persona, location, interests, age bracket, or other criteria, you can create more targeted emails that drive better engagement. Measure Your Progress. One of the most crucial aspects of marketing is progress monitoring. It is not enough that you can see an increase in conversions. To make sure you are getting a good return on your investment, you have to analyze your data on a granular level. Be sure to use real-time analytics tools to get a good grasp of how much impact your campaigns are making. This is also great for determining your customers’ buying patterns and browsing behaviors, making it easy to plan future campaigns. Encourage Sharing. Nothing beats the power of word of mouth when it comes to building your company’s reputation. This is why every time you send out emails, you need to give your readers the option to share the content of your message not just through email but also through social media. It is faster to generate more leads this way and, not to mention, much more convenient. Set Up Drip Campaigns. Timing is everything for email marketing. You need to send your clients the right messages when they reach certain points of your sales funnel in order to maximize their interest and engagement. However, it can be almost impossible to do this manually if you have plenty of customers. This is where drip campaigns come in. These allow you to come up with pre-made messages that are programmed to be sent in line with your automatic triggers. This way, you can reach out to leads at the optimal time without much effort. The bottom line here is that you shouldn’t see your email marketing system as a magic pill that will instantly solve your campaign management concerns. Instead, you must view it as an assistant that will help you streamline the way you create and send your emails to make them more efficient in converting leads. Hopefully, with our list of 20 best email marketing software, you were able to narrow down your prospects. We highly recommend that you check out HubSpot Marketing, our current leading solution, for your business. You can sign up for a HubSpot Marketing free trial here. Of course, we also encourage you to carefully assess the other platforms we have mentioned. This way, you can choose a system that works well with your operations.